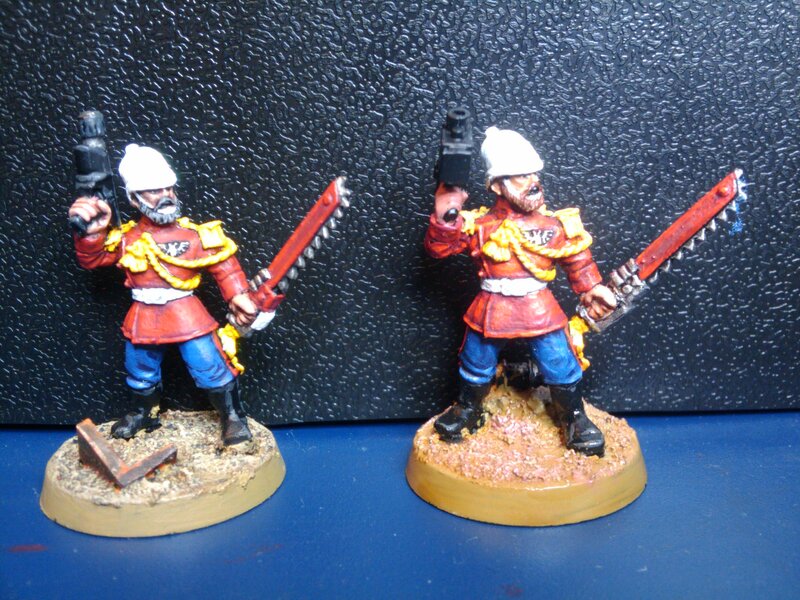 The chap on the left was one of my first attempts to paint a mini for almost 20 years… it was also the first time I had shaded with wash, and highlighted up through multiple tones to get that orangy look on the red tunic, but I remember struggling with the legs. I was really chuffed at the time, (and still am! ), but the shiny effect from the wash does bother me, (especially on the black bits), as does the patchy effect on the trousers. The face is a bit heavy handed as well. The second model was probably done about six months or so after the first, and is very similar in most respects, but is a bit tidier in the trouser department (ffnar), and less shiny on the black areas. I am also much happier with the face, (though it is a non-GeeDub head, so is a bit sharper in the detail). Of course, the most important thing for any army is that it looks cohesive… I think that I am in good shape in that regard. 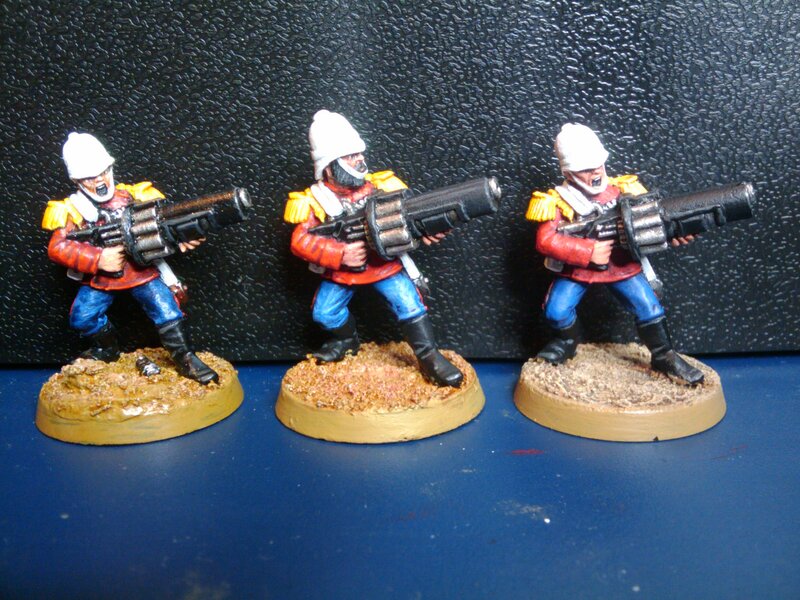 It is actually quite surprising how similar these efforts are, though I think I will revisit the latest batch and just add that extra highlight to the tunics. Anyhow, I hope you found that little meander interesting – I know I did! I would be very interested to find out what others think, which ‘version’ you guys prefer, or if you have any similar experiences or insights!